There are lots of options for creating a one-of-a-kind owl quilt that will have you hooting. All the hard work is done by your embroidery machine leaving the fun part of selecting the fabrics and threads to you. 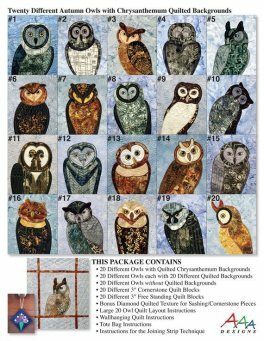 Pick a traditional woodsy color palette -- maybe even in flannel or wool to make your owls cuddly. Or -- go modern/eclectic and make them bright colored batiks. 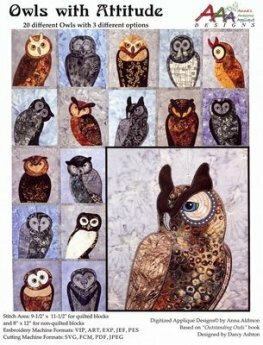 The collection has 20 different owls. 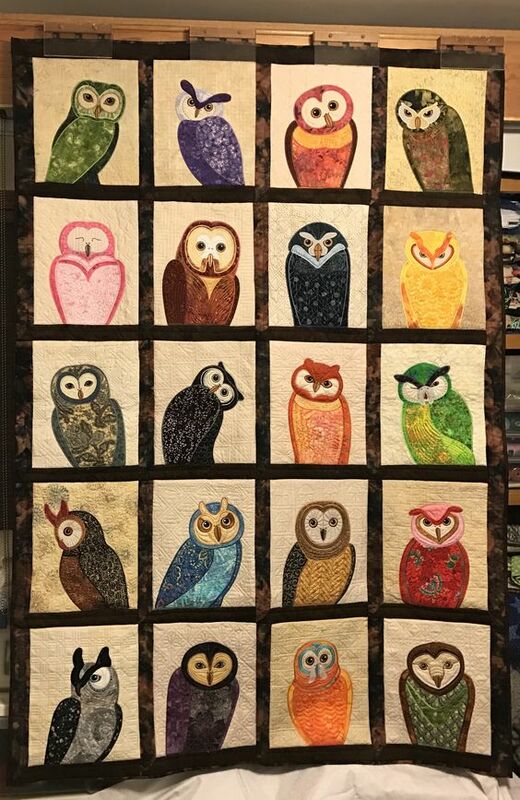 Make them all into a bed-sized quilt or pick a subset for a wall hanging or bed runner. 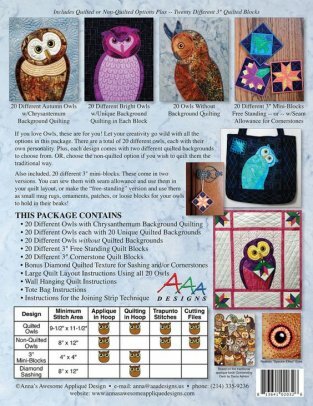 There are even little quilt blocks to embroider and attach -- just like the messages carried by the owls in Harry Potter. You also have the option of doing quilt-as-you go. The package includes several different quilting patterns that can be sewn with batting in place. This is a block of the month class in which we will reward you for completing your homework. Each month if you have completed (and bring to class to show off) the blocks for the previous class, you will get a free gift from The Sewing Circle. 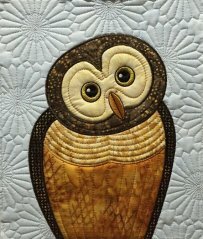 In the 1st 5 sessions, we'll do a complete owl in class and give you 3 more to do on your own at home. The last session will be a class on how to assemble the blocks. 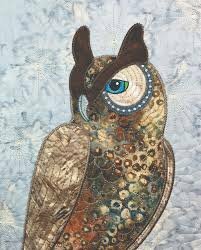 Carol will be augmenting the packaged embroideries with other accessories for the owls. Maybe you'd like your owl to have glasses or a captured mouse, or a flower. We'll have fun personalizing your creation. The class fee includes the embroidery package.